Day Zero. Two words that often come into conversations around Cape Town. Cape Town is experiencing the worst drought in 100 years and with level 6B restrictions coming into effect from 1 February 2018, people are urged to use no more than 50 litres of water per person per day. With limited water resources comes an increased risk of disease – often due to poor hygiene. According to Unicef, washing your hands with soap and water can cut diarrhoeal disease by one-third. This becomes less feasible, however, when less water is available. With the recent Listeriosis outbreak, it is even more important to protect yourself against disease. Despite water being in short supply, make sure you only consume safe, clean water. Also remember that you can keep your hands clean with waterless hand sanitiser. Here are five diseases that may present a higher risk during a drought. Twenty-six cases of typhoid fever were reported in Cape Town in 2017. Typhoid is caused by Salmonella typhi, which is spread through contaminated food or drink. If water is exposed to sewerage contaminated with the bacteria, people who consume the water will get sick. Symptoms: Fever, stomach aches and sometimes a rash. Prevention: Practise good hygiene and safe food preparation. 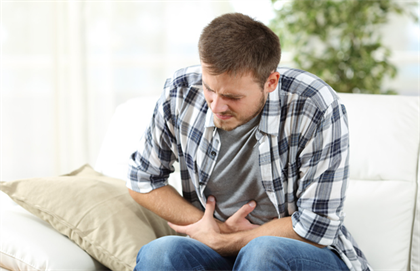 The virus or bacterium that causes gastroenteritis affects the stomach lining and intestines, and is usually transmitted through contaminated water or food. Symptoms: Stomach cramps, watery stools and dehydration. Prevention: Practise good hygiene and only drink safe, clean water. Salmonella is one of the most common food-borne diseases and the bacteria are often found in food products – for example raw poultry, eggs, beef and sometimes raw fruit. Symptoms: Diarrhoea, fever, abdominal cramps and headache. Prevention: Don’t consume unpasteurised milk or raw eggs. Practise good hand hygiene and safe food preparation. If you ingest the cholera bacteria, you will get sick. It is transmitted through faeces – so if human faeces contaminate food or water that is consumed due to poor sanitation or hygiene, the bacteria will continue to breed. Symptoms: Severe, watery diarrhoea, nausea and vomiting, dehydration, muscle cramps and shock. A severe drought can increase mosquito-borne diseases. Although droughts mean less water, stagnant water creates the perfect breeding ground for mosquitoes. As Capetonians are urged to reuse their water, buckets of water may result in an increased mosquitoe population. 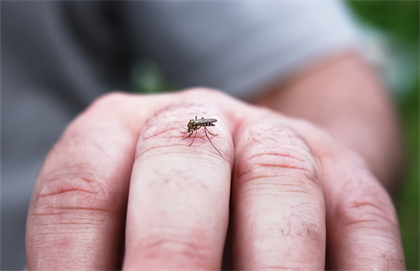 Prevention: Avoid letting water stand for too long and use mosquito repellant.